Sarah Huckabee Sanders Just Shut Down Pie-Gate Once And For All – Take That, April Ryan! Oh boy, y’all remember “pie-gate?” Apparently “reporter” April Ryan questioned whether Press Secretary Sarah Huckabee Sanders actually made a pecan pie for Thanksgiving because I guess that’s what we’re doing these days. While it was a lively back and forth between the two women, Sanders has decided to put a much finer point on it for the holidays by picking up the debate and fueling it with Christmas goodies. 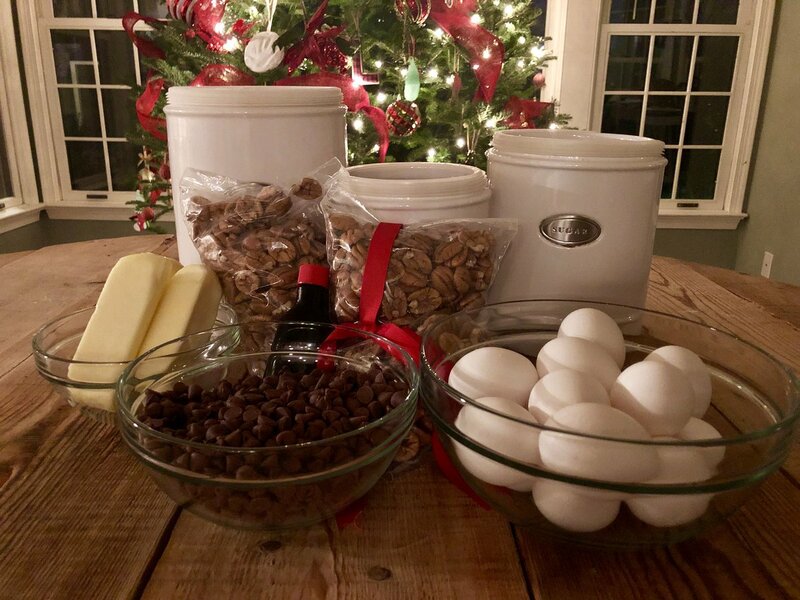 In her first tweet, Sanders shows several bowls of ingredients used to make the delicious pies and she even tagged Ryan’s Twitter account asking “with or without bourbon?” As if there is ever a question. Those are some good looking pecans, aren’t they? I’m hungry now. How much do you think Sanders would charge to make and ship me a pie? And when the pies were finished, she posted a photo of them as well commenting that she’s excited to share them with the White House Press Corps at the potluck dinner on Friday. It is nice to see our government officials having some fun around the holidays, especially when 2017 has been so contentious and turbulent. I could say that next year will be better, but that would just be a lie. With mid-terms around the corner, we are most definitely going to see more anger, vitriol and hatred surrounding politics. If you thought this year was a mess, you’re going to want to buckle up. But while we’re undergoing these trying times, it’s always good to remember to lighten up every once in a while and have fun. Nobody who ever allowed themselves to be angry and defensive all the time was a happy person in doing so. Remember that you have a family, you have friends, you have hobbies to engage in, books to read, memories to create. Even if that includes making a pecan pie with your mom and drinking another glass of wine. Just do it. It might be a terrible year for politics, but that doesn’t mean it has to be a terrible year for you.